When you press “send” on an email, you can’t just assume it will reach an inbox. One out of four American business emails was marked as email spam or went missing in 2015. That’s an 11% drop in email deliverability from 2014. Email spam filters are tightening their scope and people are losing tolerance for unsolicited emails. When you’re writing emails and compiling lists, 25% of your effort is going to waste. To help you rise above the average sender’s open rates, here are 10 reasons why emails get marked as spam, and how to fix each. Take notes. Sometimes the words you choose are what’s keeping you from reaching your prospect. This applies most to your email subject line. Words like “free,” “money,” “help” and “reminder” all trigger content-based email spam filters. Especially if you’re not added as a contact in your recipient’s email database. Want even more? 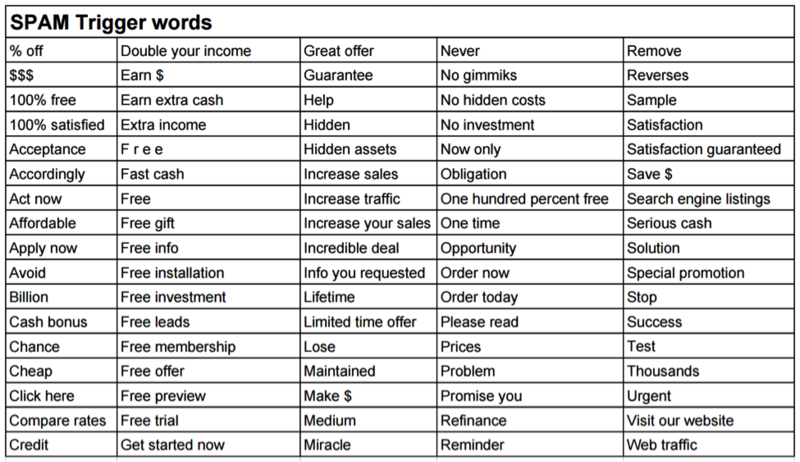 Here’s a list of 200 common spam words. The takeaway: Keep this list by you as you type your emails to avoid using these words. You can bookmark this web page or print it out for your desk. If there’s a word that you need to use, keep it out of your subject line. 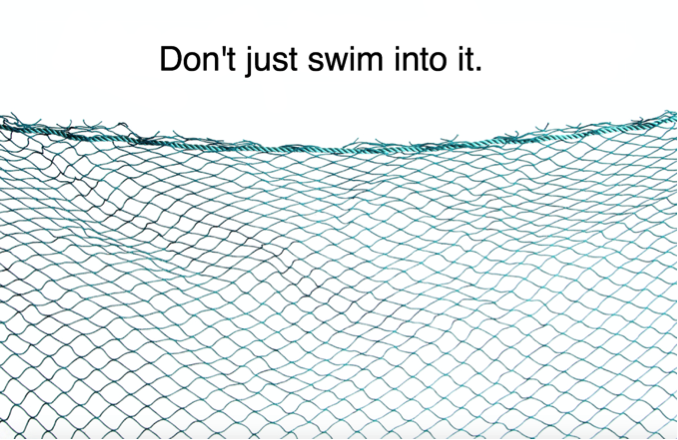 IF YOU WERE A FISH, WOULD YOU SWIM RIGHT INTO A NET? We didn’t think so. Using all caps in an email is game-over just the same. How excited are you about avoiding email spam filters?!?!?! Like emails with all caps, emails with exclamation points are food for spam catchers. Especially when they’re in the subject line. Because messages with exclamation points resemble true spam emails looking to scam recipients, they are treated the same by email providers. They’re filtered from inboxes. It’s the similarity principle. In this case, people have set systems to group emails based on similarities that they have. The takeaway: No exclamation points in your subject lines. When you have a minute, also take a look through your own “Spam” folder for patterns to avoid in your own emails. Sending an email with an attachment to someone who’s expecting to hear from you (i.e. someone who has you in their Contacts) is okay to do. I’m sure you’ve done it plenty of times without a hitch. It’s sending an email with an attachment to a new, cold contact that causes an issue. Remember the similarity principle above? Same applies here. True spam emails often contain destructive attachments, so spam filters supervise (and remove) emails with attachments. The takeaway: When you’re writing a cold email and you’d like to include a case study or piece of collateral, do so with a link rather than an attached doc. The benefit: you can track the link to see if they open it. And if it’s a multiple-page PDF, tools like Yesware allow you to actually track how long your recipient spends on each page. Messages that are overly graphic will not reach your recipient. Salesforce says so. Your email needs to be more than just an image or many images with little text. Note: The common rule of thumb used to be to maintain a 60/40 text-to-image ratio. But recent research from Email on Acid shows that restrictions like this depend on the length of an email. To give you an idea of what a 500-character email would look like, this message is exactly 500 characters (with spaces). Emails of this length are typically 5 to 7 sentences long. They give you enough room to introduce yourself, describe why you’re reaching out plus what value you offer, and then request something. Just like that. 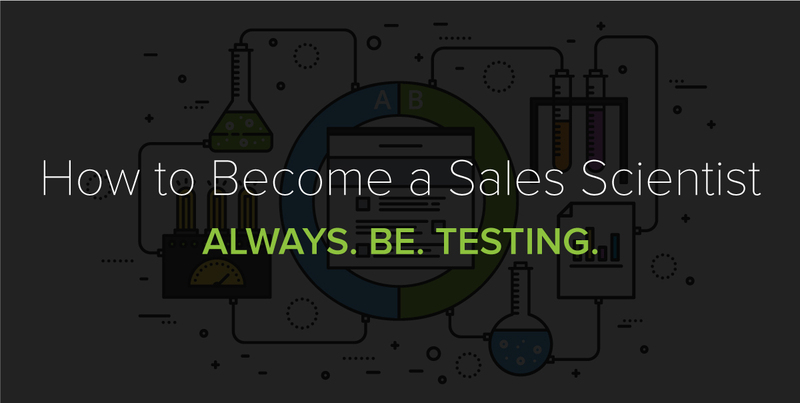 Because sales emails today are kept short in order to draw a prospect’s attention, keep it, and quickly drive action, they often fall within this 500-character range. You can also try a free tool like mail-tester to audit your email before sending. Live life colorfully, but not in your outreach emails to cold contacts. Here’s an example of an email that’s definitely spam-bound. Email spam filters look for variations of colors and font styles as a first flag for removal. The takeaway: Keep it simple. 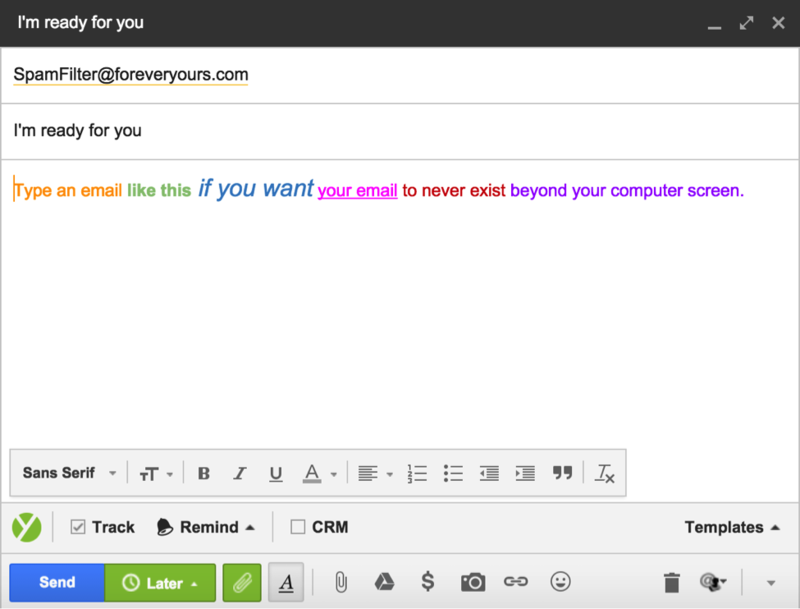 For each email you send, use no more than 3 font styles/colors total. Don’t forget: hyperlinking a page on your website and bolding your ask gets you up to two. Webmail providers like Gmail are increasingly using recipient engagement to classify an email as spam or not. It’s called “Engagement-Based Spam Filtering.” They identify when a user deletes unopened emails from senders, and begin to filter out these emails from reaching the inbox in the first place. The takeaway: If you’re sending emails to someone over and over without any opens, then stop. It’s a wasted effort. Use an email tracking tool (Yesware offers a free trial) to see whether emails sent from your company account are getting opened. Send your emails at the right time by checking out this free tool [Bookmark for later]. According to MailChimp, 43% of users report emails as spam if they don’t recognize the From Name or email address. So if they don’t know you, they flag you. That’s a tough outlook for emailing cold prospects. And once you’re marked as spam, you’re blocked from reaching that person again. The takeaway: Personalize your email. This tip is becoming a mantra in our blog posts. Emails with customized messaging for individual recipients see higher open rates (and reply rates). So not only are you NOT being marked as email spam, but your message is considered and answered. Even if your personalized email arrives to an inbox and receives engagement, you can ruin your chances with a barrage of follow-ups. People respect persistence, but being overly persistent is disrespectful. You need to let your prospect breathe. 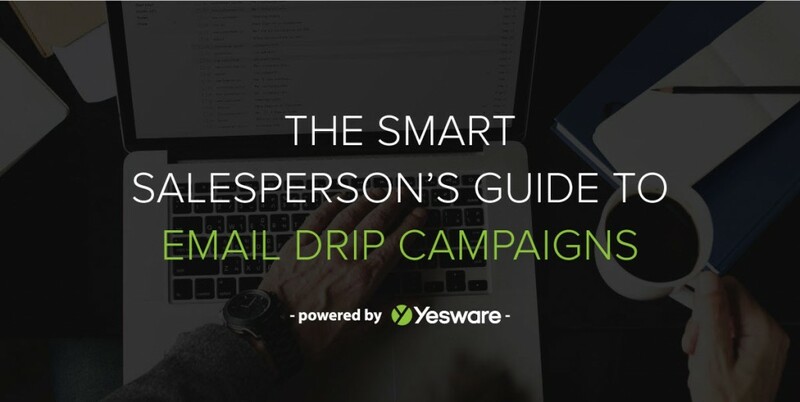 The takeaway: If you’re automating your follow-up with a drip campaign, then space out your follow-up emails at least a few days at a time. Subject lines that spark curiosity get emails opened, but that’s just half the story. Subject lines that misrepresent emails irritate prospects and drive them to flag you as spam. The takeaway: Keep your subject line honest (and free from trigger words, all caps, and exclamation points as mentioned earlier). Want to try different subject lines? Save email templates, get reporting.